Egg facts that will blow your mind! 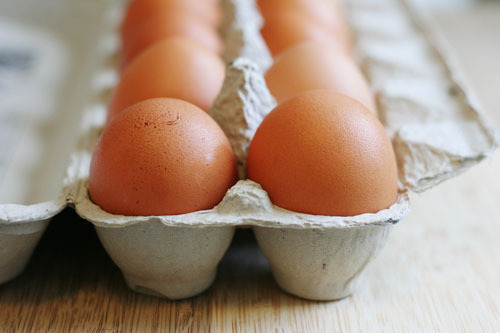 Did you know that fresh eggs (and I mean fresh-from-the-bird fresh) don’t need to be refrigerated? Does that not blow your mind? When eggs are laid they have a bloom, or a coating, on the shell that protects the chick inside from bacteria. The eggs we buy in the store are all super duper washed, which gives them their various grades…but that washing makes it so eggs must be refrigerated. I’m not saying this is a bad thing. Just interesting. Okay, I’ll admit it – this is pretty much completely un-useful information. But I still like it. And I actually do have a few friends who have chickens and this info does apply to them. But they already know it, so, yeah, I’m not really helping anyone here. 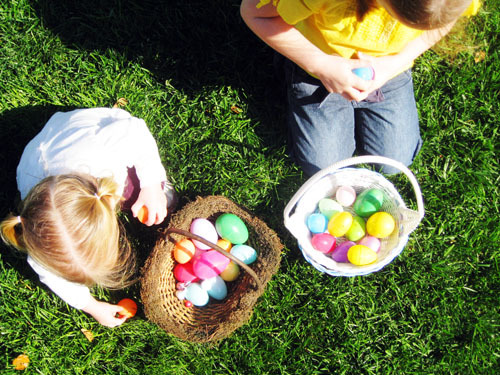 Yesterday we went to an Easter egg hunt. It was the perfect morning, I must say. Until we discovered Anna, our 2-year-old, had eaten ALL the candy from her TWELVE eggs before we even left the party. But even that made the morning a little more perfect than it already was. Bad news for me, I made everything on my menu last week! So, I have to come up with a completely new menu. Life is so hard, eh? 😉 Thank goodness I have your menus to peruse for ideas! 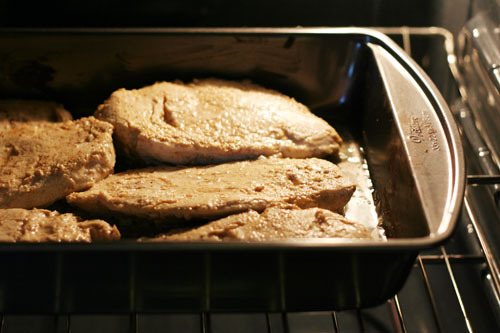 – Easter dinner…which I need to figure out! 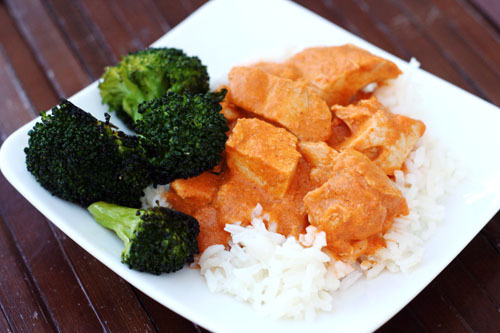 Now, please share your menu for the week! And, Happy Passover and Happy Easter to those of you celebrating this week! 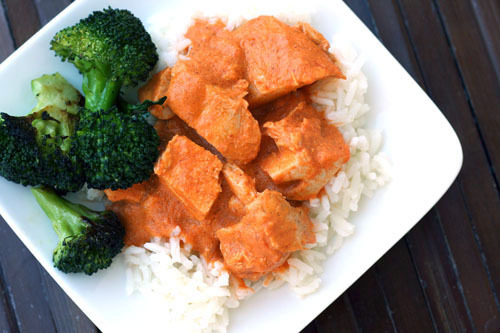 If you’d like to share your plans for your big feasts, please do so! Recipes are always welcome, too! Last weekend Nate and I attended the San Francisco International Chocolate Salon. It was a LOT of fun. We went without the kids, the weather was spectacular, and we stuffed ourselves silly with chocolate. 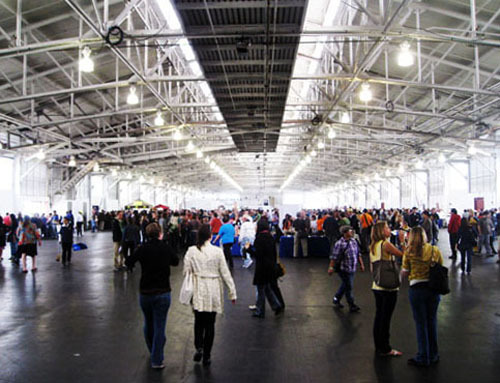 The Chocolate Salon is an open-to-the-public event where oodles of chocolatiers and confectioners come show off all their chocolatey goodness in a hugemongous room at the Ft. Mason Center. 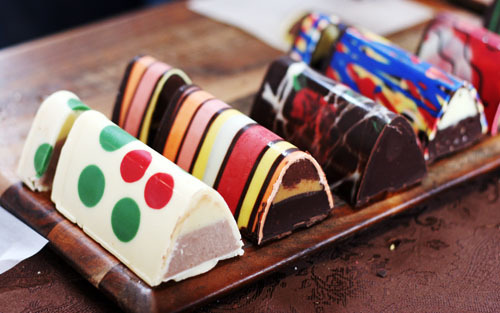 We tried some very “interesting” chocolates (chocolate bacon, anyone?) and some really great stuff. I have to share some of that goodness with you! There are so many companies I could write about, but I’m going to focus on our favorite. Marti Chocolatt is based in Los Angeles and is the one company we actually purchased something from. Marti does a fantastic job integrating chocolate with very unique and sometimes unexpected ingredients. 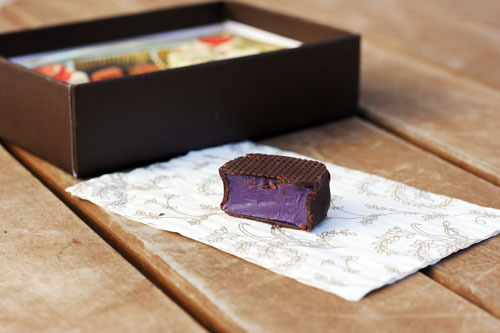 Our favorite Marti chocolate was the ube flavor, purple yams in dark chocolate. The umeshu flavor, Japanese plum wine in white chocolate, was also quite amazing. And the jasmine citron? The only word I can think to describe this chocolate is intriguing. I am normally not a fan of flower-infused foods, but this jasmine chocolate was very appealing. When you eat it, it’s more like you’re smelling flowers than tasting them. It’s hard to describe. Marti Chocolatt took first prize in our book. Of course there were many other amazing companies, and I just can’t write about all of them. Here is a small sampling! 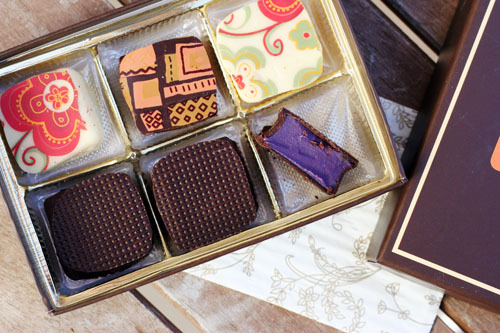 As an artist, I absolutely adored these truffle bars from Sterling Confections. The truffles do in fact taste great, but I love the visual concept more than anything. 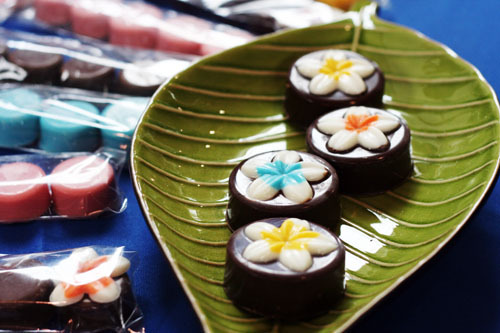 Plumeria Flours makes these beautiful chocolate covered Oreos. I’m not a big fan of Oreos, but I actually did like these. Plus, they’re so cute! I couldn’t help but snap a shot of these pretty (and tasty!) 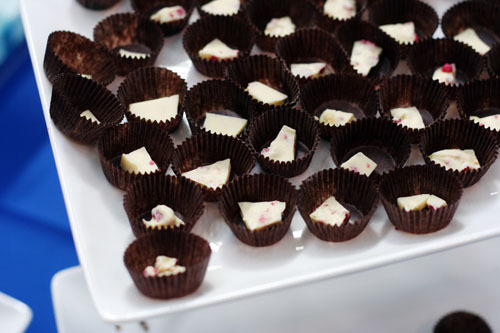 white chocolates with flowers from Robyn’s Chocolates and Confections. I have to tell you about one more chocolate we tried. By far the CRAZIEST chocolate we tasted was from Vice Chocolates. It was called “Vixen” – a passion fruit truffle with Thai chili, jalapeno, and cayenne, decorated with white chocolate and a caramelized red pepper on top. I’m pretty sure she said it had all the different taste flavors – Sour, Sweet, Salt, Bitter, and Spicy. And BOY was it spicy. I have a pretty high tolerance, but that one got me for sure. I’m glad we tried it! We were completely chocolated out 2 hours into our venture. I don’t think that has ever happened to me! 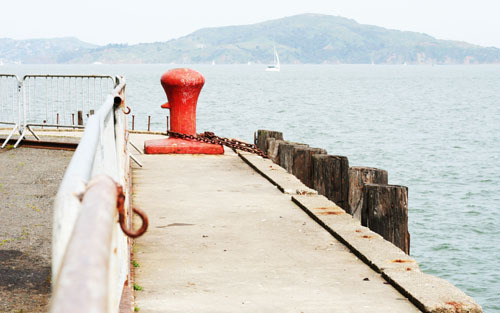 I am so happy that the event was at the Ft. Mason center…beautiful views of the Golden Gate bridge, Alcatraz, downtown and the Bay Bridge. Such a lovely spot and a morning to be remembered! 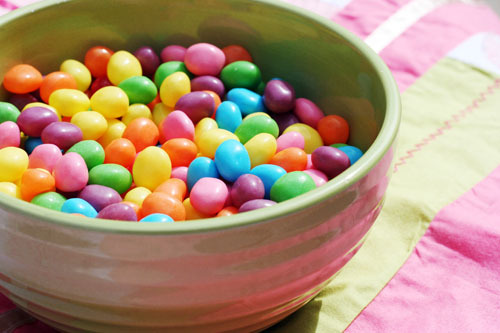 Three words: Sweetarts Jelly Beans. Three more words: I’m in love. Easter candy is the BEST. Am I wrong? Nope. I’m not. Nate and I went to the San Francisco Chocolate Salon yesterday at the Fort Mason Center in San Francisco. (I’ll be sharing some of our chocolate finds with you later this week!) When we were walking back to the car, this dog caught our eye. 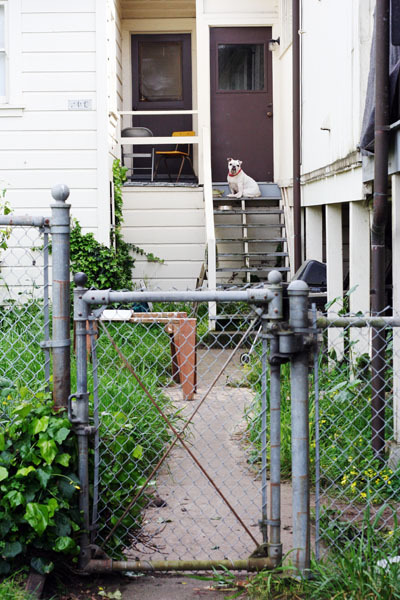 He was the perfect subject for a photo…not just because the whole scene drew me in for some reason, but the dog held completely still. His ear twitched, so we know’s real. I love this shot. I have just a few repeats from last week’s menu. Had to go with the flow a few days and things were changed up a bit. As always, I can’t wait to see your menus! And, as always, THANK YOU! It May Not Be Easy Being Green…but it’s Fun! 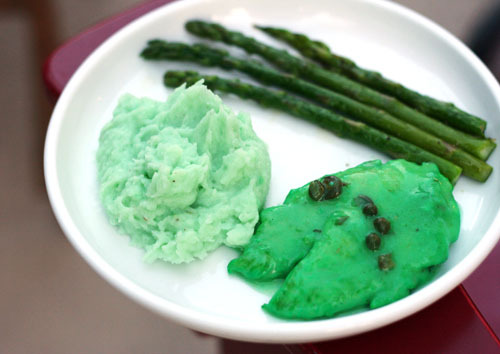 Our green feast was so FUN on St. Patrick’s Day. Cate was in heaven and has decided green is her favorite color. Can I say, chicken piccata is GENIUS for turning green? 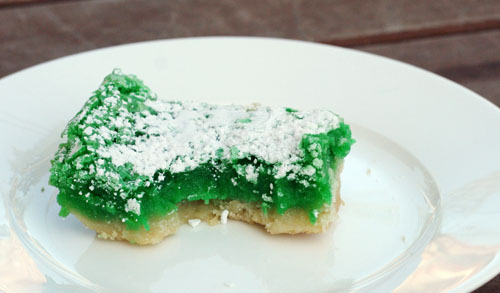 Mashed potatoes and lemon bars also lend themselves well to crazy food coloring. While I have your attention, look at this! 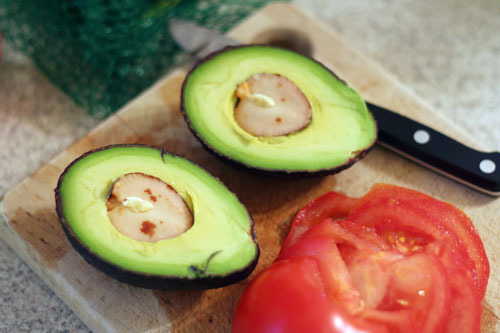 When I cut this avocado open to find a split pit, I didn’t have anyone around to say, “Look at this!” to…so I’m saying it to you. Aren’t you so glad? I’m loving my latest kitchen space saver discovery, which has actually been sitting in my drawer for over 10 years…until now. When Nate and I got married, his grandparents gave us a magnetic knife holder. For a while we didn’t have knives that needed holding, and then once I had knives, I used a drawer. Now that we’re in a kitchen with no drawers, the magnetic knife holder is a necessity. And you know what? I should have hung it up years ago – I love it! My knives are super handy and accessible now, I can see exactly which knife I am choosing, and they are safely out of the reach of my children. If you have a LOT of knives or a block set, then you may not need this. But, even then, this holder is a nice space saver and keeps your most frequently used knives at your fingertips. There are quite a few different styles and sizes of holders out there. Click here for my simple, straightforward model (which is also very affordable). This stainless steel holder is nice and sleek, and I love this bamboo holder. Time to announce the two winners for the Everyday Food: Fresh Flavor Fast giveaway! Stacy, who said: jane, you always remind me how much i love food! i would love some fresh ideas to add to my menu! Haley, who said: That sounds so delicious! I love pasta and will make this soon! 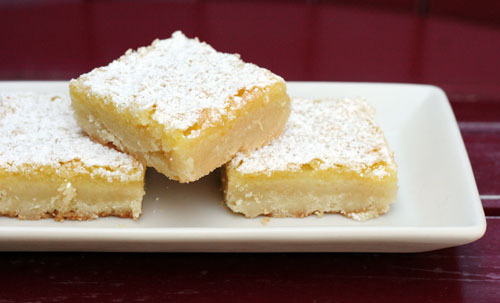 Thanks for the recipe, and the new website to look at! Congratulations, Stacy and Haley! Thanks to everyone for entering the giveaway! For those of you who didn’t win, here’s a link to Everyday Food: Fresh Flavor Fast on Amazon in case you need to buy it, which you do! Thanks again to Everyday Food!